Dual-polarized weather radar can estimate the number of bats in a swarm similar to the way it can estimate the number of raindrops in a cloud. This information is valuable to biologists, ecologists and entomologists as they try to understand how populations and behaviors of bats and insects are affected by changes in climate over time. Usually data from birds, insects or bats are considered “clutter” and are filtered out. NSSL researchers have reversed the filter to now focus on the bioscatter. Using calculations of radar backscatter from a single bat in the laboratory, made by the University of Oklahoma, the group is developing the first means to calculate aerial densities of bats as they travel. 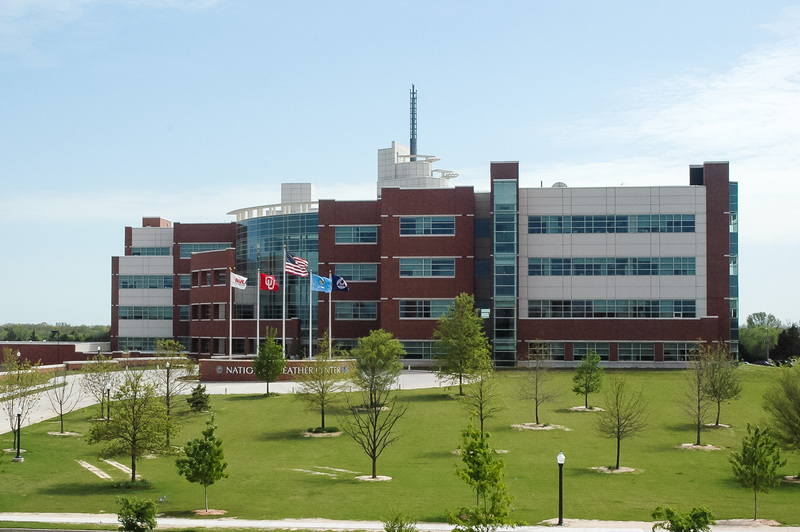 NSSL will use the data to enhance algorithms that remove the bioscatter clutter to see the weather more clearly. 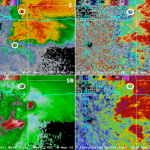 “What we see in the dual-polarized fields provided by NSSL’s radar, and soon with WSR-88D dual-polarization, will bring a whole new era in behavioral ecology and conservation as well as radar quality control,” says NSSL’s Ken Howard. The National Science Foundation sponsored project includes researchers from several Universities, the National Park Service and the USGS.